This page Language is part of the linguistics series. In modern times, a large number of artificial languages have been devised, requiring a distinction between their consciously innovated type and natural language. The latter are forms of communication considered peculiar to humankind. Although some other animals make use of quite sophisticated communicative systems, and these are sometimes casually referred to as animal language, none of these are known to make use of all the properties that linguists use to define language. The term “language” has branched by analogy into several meanings. The most obvious manifestations are spoken languages such as English or Spoken Chinese. 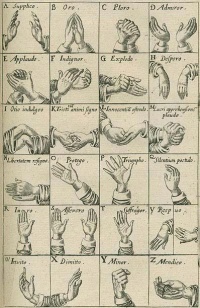 However, there are also written languages and other systems of visual symbols such as sign languages. In cognitive science the term is also sometimes extended to refer to the human cognitive facility of creating and using language. Essential to both meanings is the systematic creation and usage of systems of symbols, each pairing a specific sign with an intended meaning, established through social conventions. In the late 19th century Charles Sanders Peirce called this pairing process semiosis and the study of it semiotics. According to another founder of semiotics, Roman Jakobson, the latter portrays language as code in which sounds (signantia) signify concepts (signata). Language is the process of encoding signata in the sounds forming the signantia and decoding from signantia to signata. Concepts themselves are signantia for the objective reality being conceived. When discussed as a general phenomenon then, "language" may imply a particular type of human thought that can be present even when communication is not the result, and this way of thinking is also sometimes treated as indistinguishable from language itself. In Western philosophy, language has long been closely associated with reason, which is also a uniquely human way of using symbols. In Ancient Greek philosophical terminology, the same word, logos, was a term for both language or speech and reason, and the philosopher Thomas Hobbes used the English word "speech" so that it similarly could refer to reason, as presented below. Theories about the origin of language can be divided according to their basic assumptions. Some theories are based on the idea that language is so complex that one can not imagine it simply appearing from nothing in its final form, but that it must have evolved from earlier pre-linguistic systems among our pre-human ancestors. These theories can be called continuity based theories. 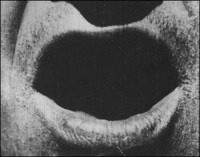 The opposite viewpoint is that language is such a unique human trait that it cannot be compared to anything found among non-humans and that it must therefore have appeared fairly suddenly in the transition from pre-hominids to early man. These theories can be defined as discontinuity based. Similarly some theories see language mostly as an innate faculty that is largely genetically encoded, while others see it as a system that is largely cultural, that is learned through social interaction. Currently the only prominent proponent of a discontinuity theory of human language is Noam Chomsky who however does not present any scenario for how human language appeared. Continuity based theories are currently held by a majority of scholars, but they vary in how they envision this development. Those who see language as being mostly innate, for example Steven Pinker, hold the precedents to be animal cognition, whereas those who see language as a socially learned tool of communication, such as Michael Tomasello see it as having developed from animal communication, either primate gestural or vocalic communication. Other continuity based models see language as having developed from music. Because the emergence of language is located in the early prehistory of man, the relevant developments have left no direct historical traces and no comparable processes can be observed today. Theories that stress continuity often look at animals to see if, for example, primates display any traits that can be seen as analogous to what pre-human language must have been like. Alternatively early human fossils can be inspected to look for traces of physical adaptation to language use or for traces of pre-linguistic forms of symbolic behaviour. It is mostly undisputed that pre-human australopithecines did not have communication systems significantly different from those found in great apes in general, but scholarly opinions vary as to the developments since the appearance of Homo some 2.5 million years ago. Some scholars assume the development of primitive language-like systems (proto-language) as early as Homo habilis, while others place the development of primitive symbolic communication only with Homo erectus (1.8 million years ago) or Homo heidelbergensis (0.6 million years ago) and the development of language proper with Homo sapiens sapiens less than 100,000 years ago. Linguistic analysis, used by Johanna Nichols, a linguist at the University of California, Berkeley, to estimate the time required to achieve the current spread and diversity in modern languages today, indicates that vocal language arose at least 100,000 years ago. Unless indicated otherwise, the text in this article is either based on Wikipedia article "Language" or another language Wikipedia page thereof used under the terms of the GNU Free Documentation License; or on original research by Jahsonic and friends. See Art and Popular Culture's copyright notice. This page was last modified 12:52, 21 September 2016.